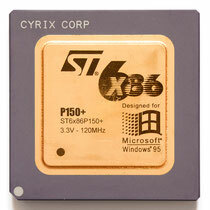 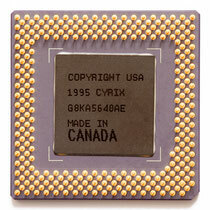 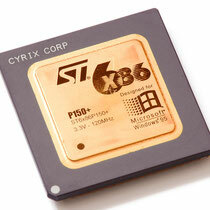 The Cyrix 6x86 (codename M1) is a sixth-generation, 32-bit x86-compatible microprocessor designed by Cyrix and manufactured by IBM and SGS-Thomson. 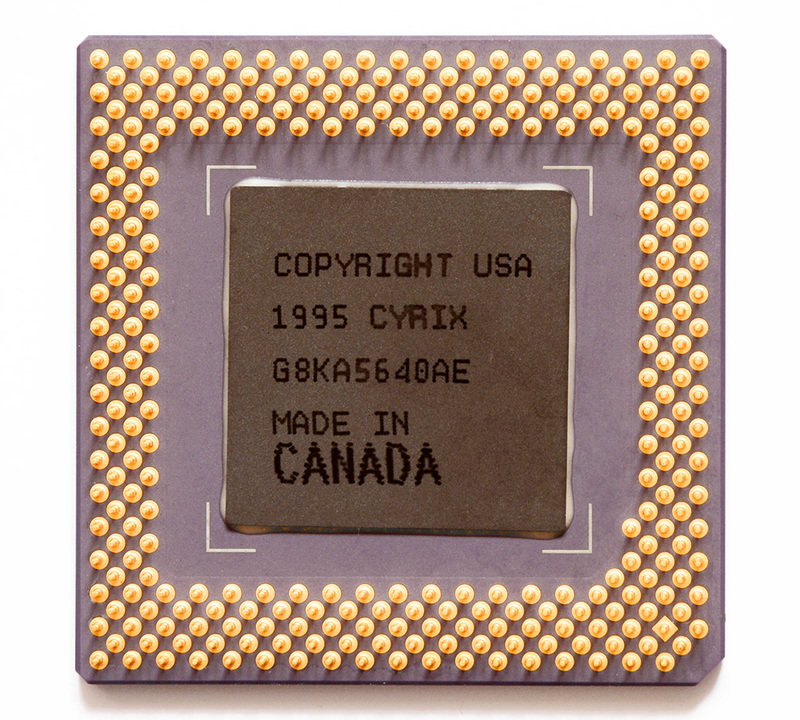 It was originally released in 1996. 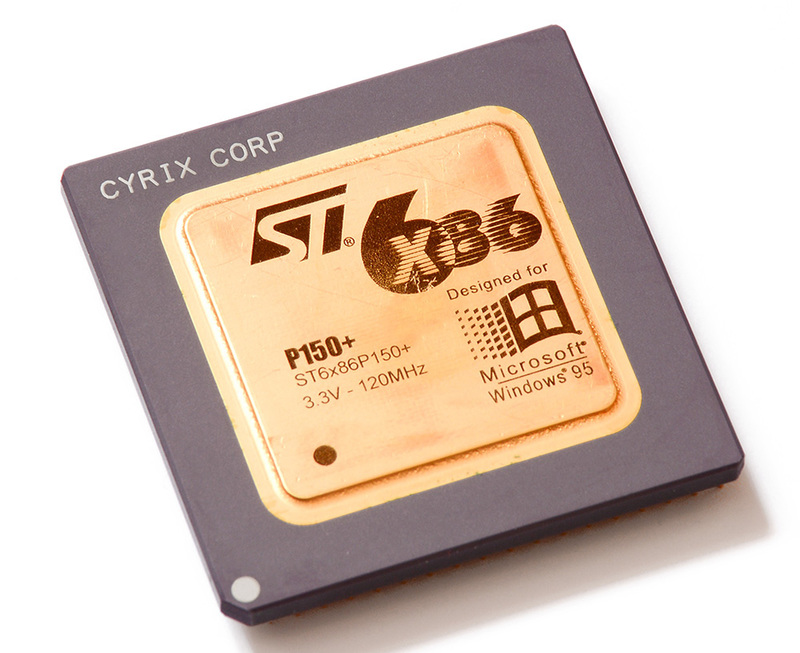 The 6x86 is superscalar and superpipelined and performs register renaming, speculative execution, out-of-order execution, and data dependency removal. 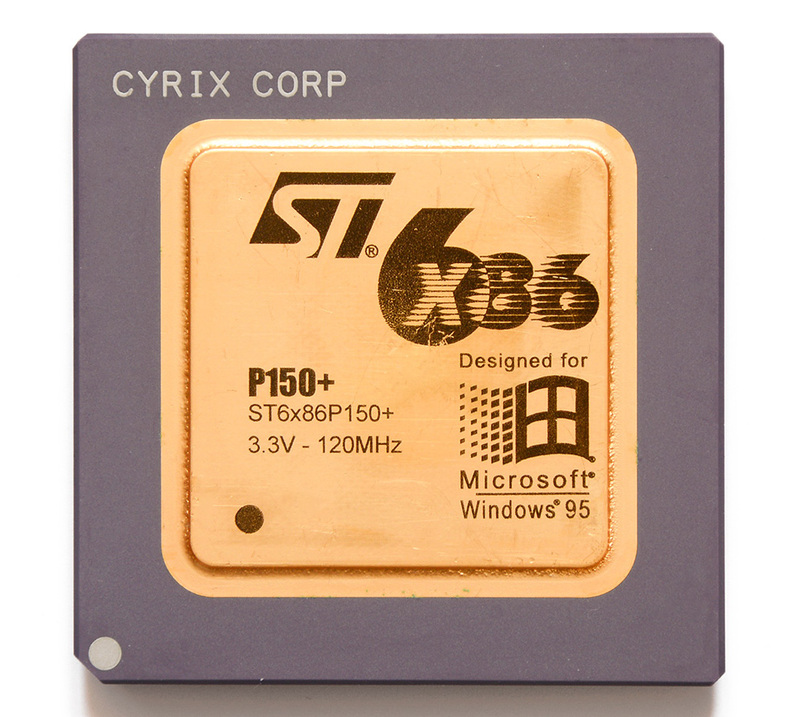 However, it continued to use native x86 execution and ordinary microcode only, like Centaur's WinChip, unlike competitors Intel and AMD which introduced the method of dynamic translation to micro-operations with Pentium Pro and K5.